The encounter between India and Afghanistan was inconsequential in the context of Asia Cup 2018. India had already qualified for the final while the opposition was no more in contention. The Indian team was expected to experiment with the benched players. Little did we know that the experiments would go to another level. 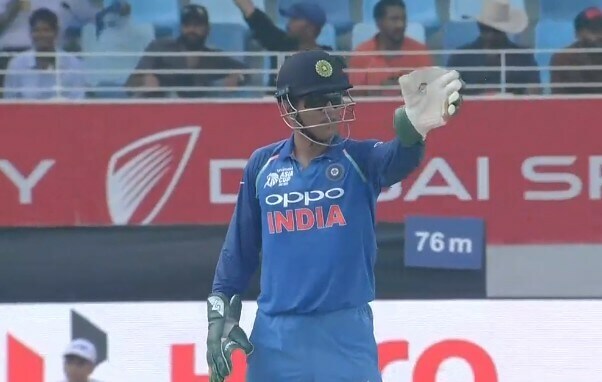 The Indian fans were pleasantly surprised when MS Dhoni walked out alongside Asghar Afghan and the match-referee for the toss. For the final, the skipper Rohit Sharma was rested and as a result, Dhoni was handed over the captaincy. There was a buzz in the small crowd present at the Dubai International Cricket Stadium as they witnessed the captain cool back to being his best. It turned out to be the 200th ODI for the wicketkeeper as the Indian captain. It was as if he was destined to reach the magical bicentenary number. The regular captain Virat Kohli was given a break from the game for the Asia Cup after the hectic England tour and keeping in mind the crucial Australia tour ahead. Rohit Sharma did brilliantly in the Asia Cup both with the bat and captaincy to guide the side into the final. But to keep him fresh for the final considering the hot weather, the team management decided to rest him for the game against Afghanistan. It all proved to be super exciting for the fans to see Dhoni in charge once again. The last time he had captained the Indian team was way back on 29th October 2016 after which he handed it over to Virat Kohli. MS Dhoni had captained Chennai Super Kings in the IPL 2018 where he led the side to its 3rd trophy. Now when he led the Men in Blue, it was vintage Dhoni on the show. He was setting the fields from behind the wicket and talking to the bowlers in between, like the good old times.